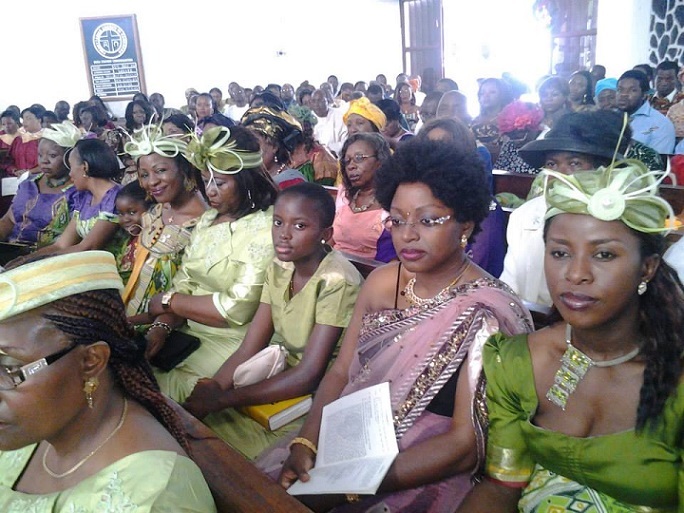 One of Cameroon’s highly recognised female role models, educationists and administrators, Prof. Dorothy Limunga Njeuma nee Efange, has offered thanksgiving for her seventieth birthday. 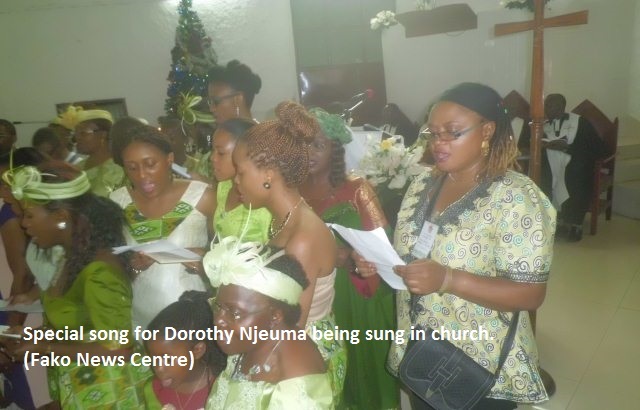 Prof. Dorothy Njeuma who clocked seventy on the 26th of June 2013, offered a thanksgiving church service at the Presbyterian Church Buea Station, on Friday 27th December 2013. 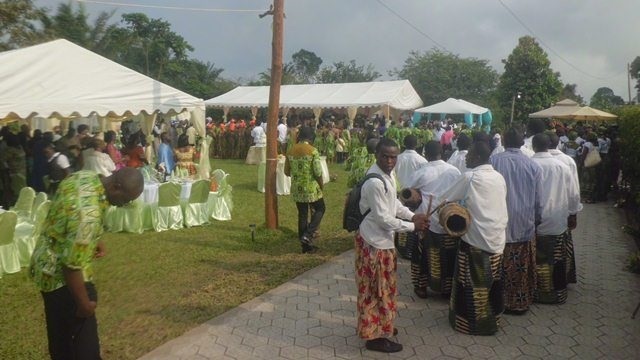 Being a mentor to many young women and even many young men in academics, administration other areas of life, her thanksgiving ceremony turned out to be one of the biggest occasions organised this end-of-year in Buea and around Fako Division. Men and women from home and abroad swarmed the church to support their role model offer thanks to God for her achievements during these 70 years. Making a response during the church service, Prof. Dorothy Njeuma acknowledged that all her achievements were designed by God and not her. 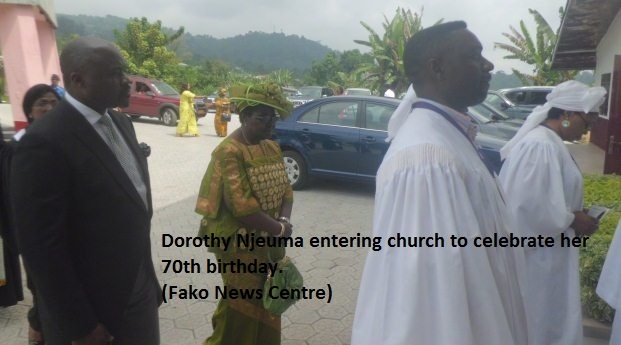 According to her, though this occasion was organised as a sacrament to celebrate her 70th birthday, it was also an event to remember members of her family who have gone before. Drawing his message from the book of Mathew 6:25-33, the guest speaker, the Very Rev. Dr. Nyasanko-ni-Nku, told the congregation that God is love no matter the circumstance people find themselves in. At the end of the church service, over one thousand guests, friends and family members converged on her Small Soppo family compound to feast and enjoy themselves. Prof. Dorothy Njeuma is a member of the electoral board of Elections Cameroon (ELECAM) and currently the pioneer Pro-Chancellor of the Cameroon Christian University and has held this position since 2011. Among a number of top positions she has occupied are; Vice Minister of National Education (1975-1985), Director General, Buea University Centre (1986-1993), Pioneer Vice-Chancellor, University of Buea (1993-2005), Rector University of Yaoundé I (2005-2008). She has had a distinguished career and served in both the Amadou Ahidjo and Paul Biya governments. She got married to a distinguished historian, late Prof. Martin Z. Njeuma in 1967 and is a mother of two. She studied in the United States of America and United Kingdom and obtained a Ph.D. in Zoology from the University College London in 1970. Her brilliance in academics earned her several scholarship awards.